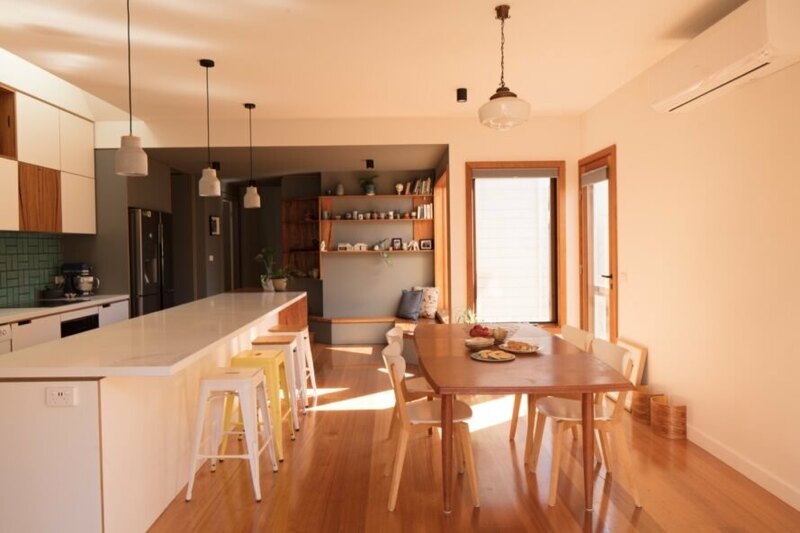 When a family of four outgrew their 1920s cottage in Melbourne and were about to embark on an extensive renovation, they asked Australian design studio Inbetween Architecture for a second opinion on the blueprints. Impressed by the consultation, the clients ended up scrapping their plans and instead put their faith in Inbetween Architecture to lead the redesign, one which would be more sensitive to the family’s lifestyle — and their chickens and honey bees. Affectionately called the “Urban Barnyard House,” the renovated and expanded residence combines rustic influences with contemporary elements into a comfortable home for the family and their beloved animals. 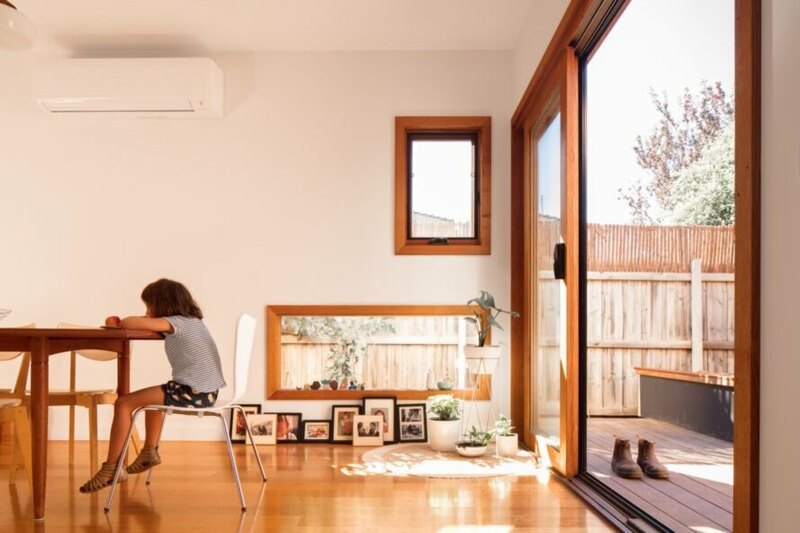 Before expanding the original house, a two-bedroom Edwardian weatherboard cottage, the architects first sat down with the family to understand their daily routines and needs so as to create a responsive and flexible design solution. 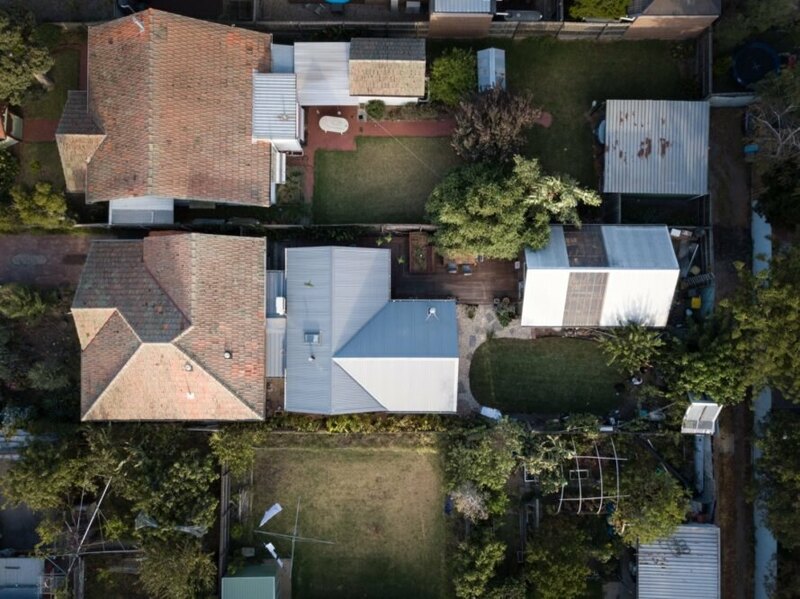 The clients’ answers informed the layout of the Urban Barnyard House. For example, the kitchen is placed in the heart of the home and the dining area is located to the east to take advantage of morning light as well as the embrace of indoor-outdoor living. The existing building was reconfigured to house three bedrooms and a new entry hall while the communal areas were relocated to the new rear extension. To minimize the time the family had to spend outside the home during renovation and construction, the architects built the extension with simple construction and a truss roof and also added a small “link” space that serves as a transition zone from the existing structure to the new building. An outdoor deck was inserted between the new extension and an existing timber shed in the south side of the property. Large windows and a natural materials palette tie the house to the landscape, which includes a productive urban backyard for beekeeping and raising chickens. 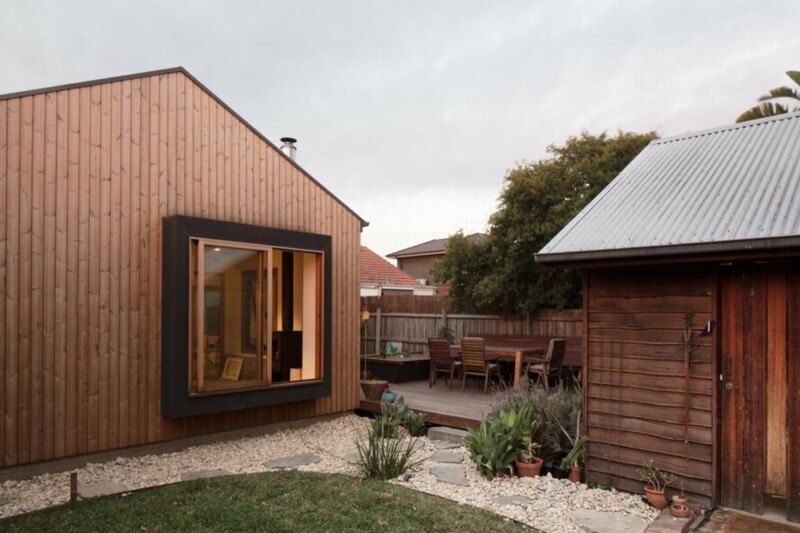 Inbetween Architecture redesigned a cottage for a family in Melbourne. Rather than a massive renovation, the architects were able to make smaller changes to reconfigure the house to fit the family's needs. The team sat with the family to find out how they utilize their home daily. The family's responses directly influenced the custom design. Now, the home features rustic details and a smart layout. The home is designed for the family to enjoy indoor-outdoor living. 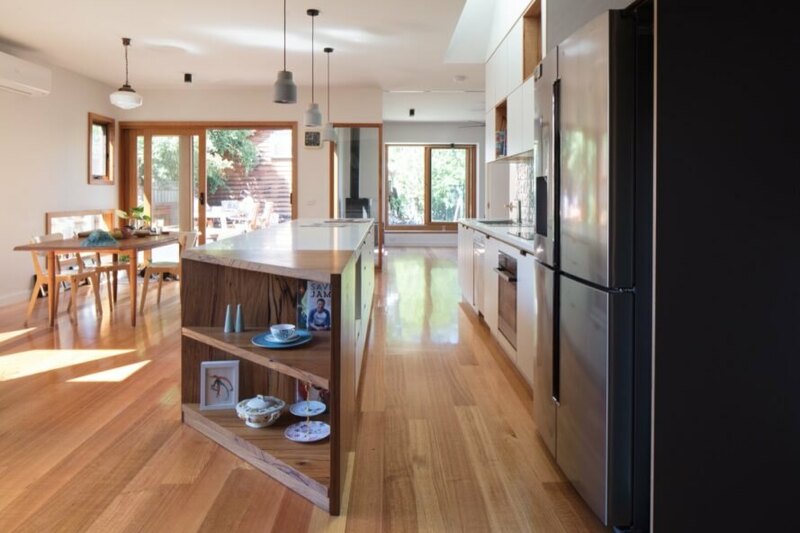 The kitchen and dining area was placed in the heart of the home. The family spends a lot of time in the kitchen. The dining space is placed to take advantage of the sunlight in the mornings. The redesigned home placed communal spaces in the extension. 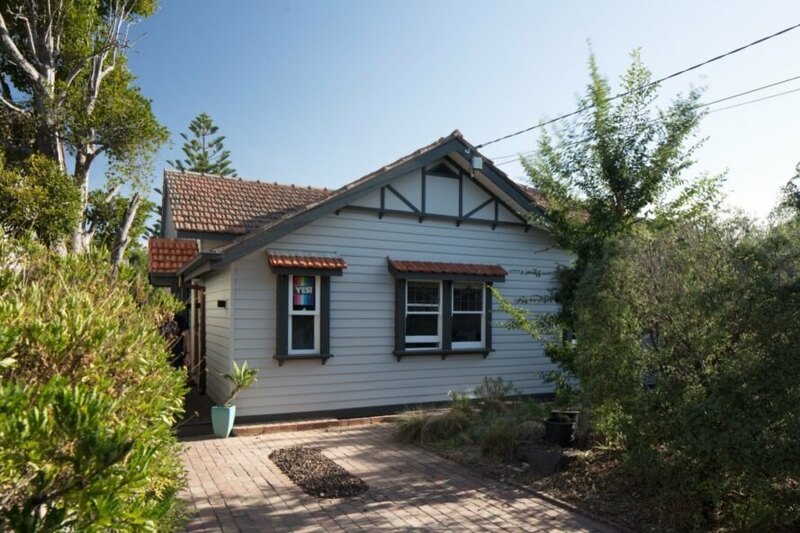 The original cottage houses three bedrooms and a new entry hall. Bathrooms were revamped to become serene places to get ready each day. The house is also optimized for raising chickens and beekeeping.